Is the iPad a computer? Yep. iPad mini? Not in my man sized hands. 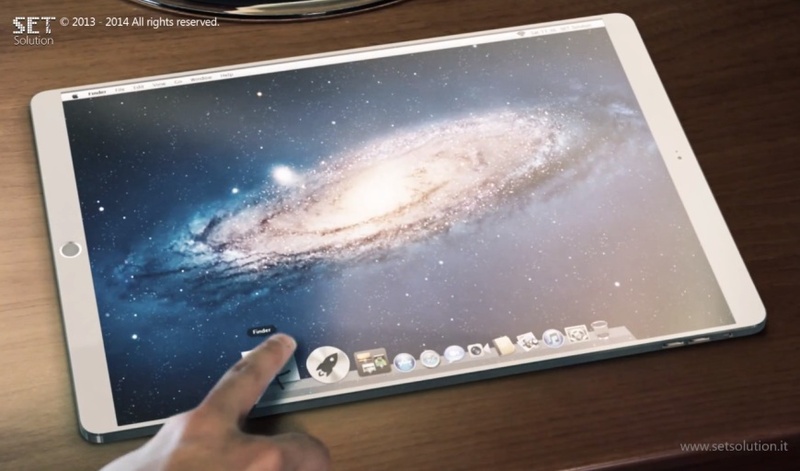 The rumored iPad Pro 13, at least when rendered by these guys, is all computer, running a full version of Apple’s OS X desktop operataing system. SET Solutions, the Italian design house behind these renders of the iPad Pro 13, created a visually compelling product. However, is the iPad Pro 13 with touch enabled OS X something that Apple would actually consider let alone bring to market? This time we’ve tried to imagine a new way to work with a tablet. So here there’s our CG iPad Pro (13 inches screen) with Apple OS X as operative system! Now you can take your works wherever you want! Fundamentally, a tablet running a full desktop operating system is the mistake Microsoft has been trying to sell, and failing badly, for more than a decade. Moreover, Apple has said repeatedly that a Mac is a Mac and an iPad something else entirely. CEO Tim Cook and other Apple executives have stated that merging their desktop OS X and mobile iOS operating systems would be a very, very bad idea. So, while SET Solutions’ iPad Pro 13 concept running touch enabled OS X is visually attractive, it’s a product that Apple is highly unlikely ever to make. Still, will Tim Cook’s Cupertino crew make super size tablet? Is the iPad Pro 13 running iOS inevitable?